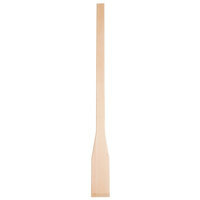 Perfect for your restaurant or bakery, this 36" wood mixing paddle will help you cook or mix with ease. 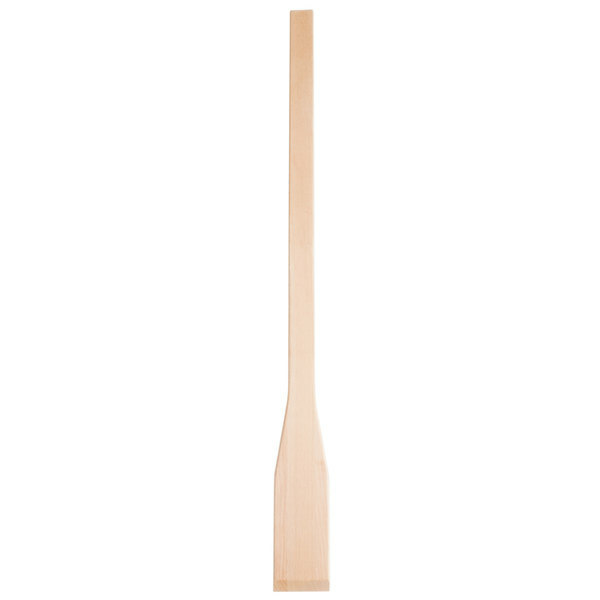 Every kitchen needs a reliable mixing tool, and this 36" wooden paddle fits the bill. 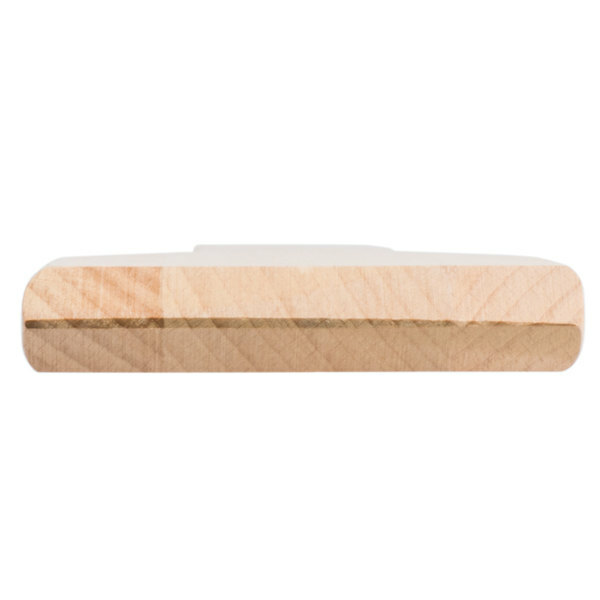 Made of natural colored, unstained wood, you can rest assured knowing this paddle won't taint your food with unwanted chemicals. Plus, the light, natural color helps you see dirt or other residue that may be on the paddle to reduce cross contamination. 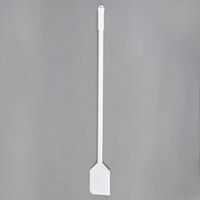 Be sure to stock your kitchen with this versatile kitchen paddle to make all your food preparation tasks quicker, easier, and more efficient! 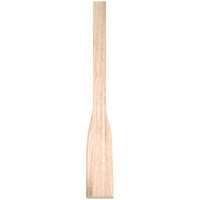 "Nice wood paddle for stirring sauces. High quality wood that will not break if you drop it. I would recommend this to any restaurant making sauces or soups." 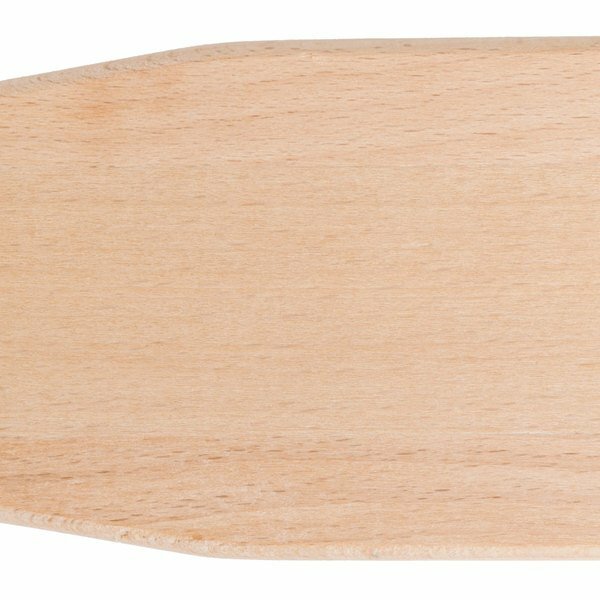 The wide frame makes this paddle extremely sturdy and stable so that it can effectively handle even the thickest sauces. The smooth, sanded surface resists cracking and splintering during use and helps stand tough against even the stickiest dough. 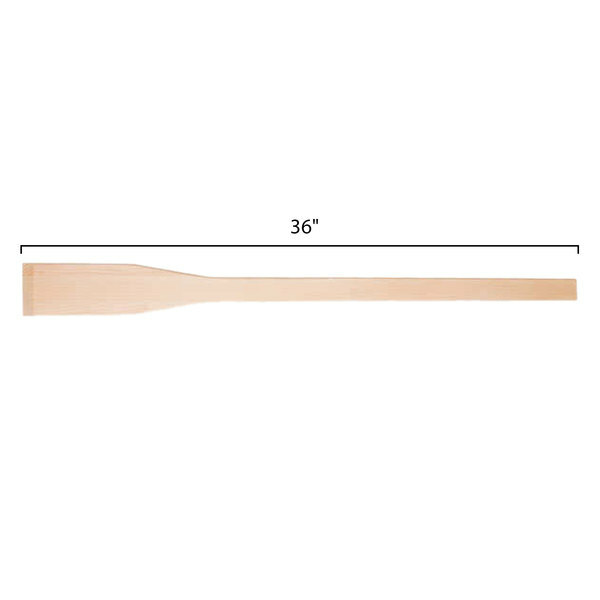 Thanks to its impressive 36" length, this paddle is ideally used for mixing in large stock pots holding a generous quantity of food, while serving as a reliable asset in a variety of other uses in your busy commercial kitchen. It's also an essential component in making kettle cooked popcorn! 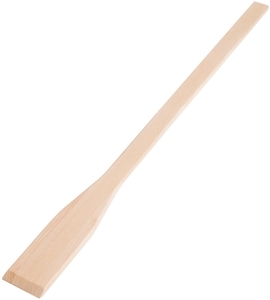 Nice wood paddle for stirring sauces. 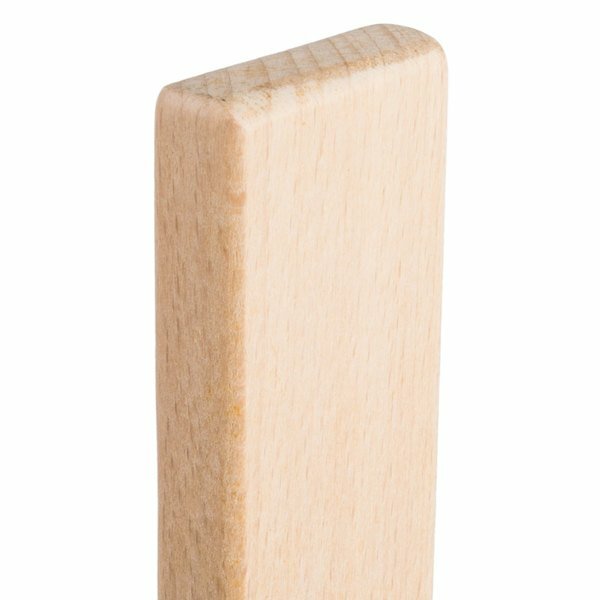 High quality wood that will not break if you drop it. I would recommend this to any restaurant making sauces or soups. Our chef absolutely loves this paddle! It's long enough to get to the bottom of our soup/pasta kettle and when he makes our marinara; he no longer has to worry about burning anything on the bottom of the pot. The co owners of my restaurant love this paddle for making sauce. It gets the hard to reach places in the bottom of their pot. We love it! 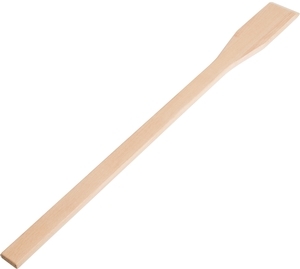 I purchased this wooden paddle to stir my chicken wings, when I use my turkey fryer. It's sturdy and LONG and it is perfect to keep your hands cool while stirring from all the steam from the fryer. This is such a good paddle to work with when you have to cook a big dish. Very Fast delivery! Will be purchasing more of these. Nice paddle to use when trying to scrape out ingredients that are in bottom of 55gal drums or hard to reach areas. Really easy to clean and store for the next time you need it! Nice design! 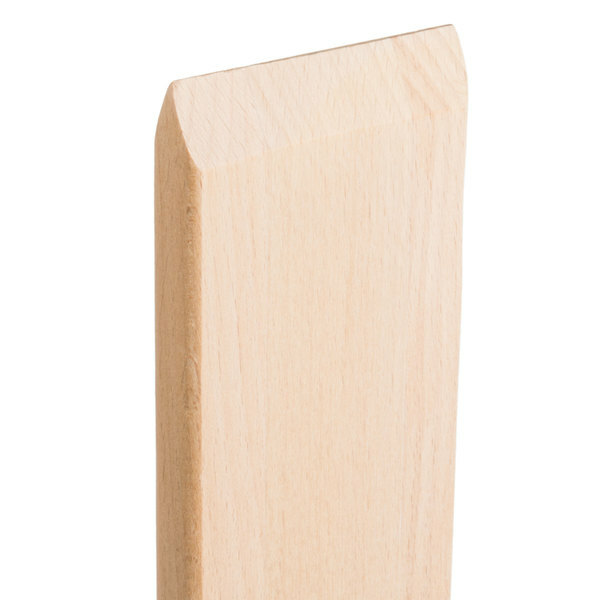 This wood paddle has been helpful in our 15 gallon stainless steel cold brew system to ensure all grounds are evenly saturated. It's easy to clean and hasn't cracked. 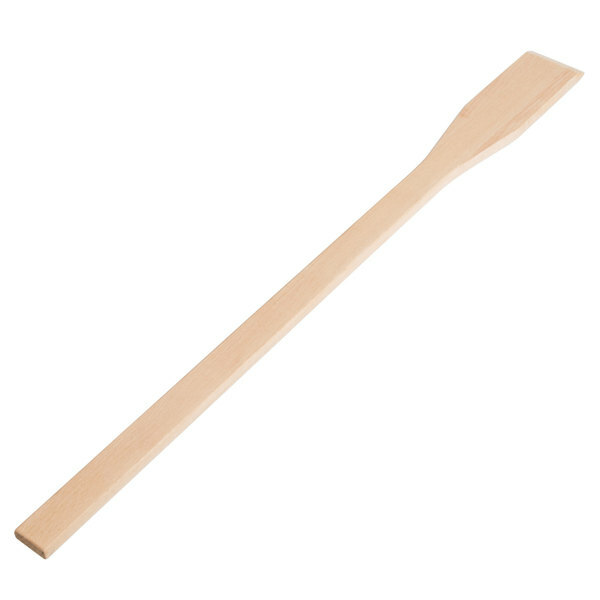 These paddles are great for stirring large pots of tomato sauce. They break and get warped over time of course but for the price it doesn't matter. This paddle is an excellent option if you want to make sure that the bottom of soups do not burn. I'd recommend buying multiple and saving. This product is easy to use and great for mixing. It's made entirely out wood. It des it's job. I highly recommend this paddle to anyone that needs mixing. Perfect for stirring my sauce! The price is great and is exactly what I was looking for. The quality is really good considering the price point. This paddle worked great for outdoor use. Used it on the deep frying disco. The length is great for keeping the heat off the arms. The price is unbeatable.